Value Colleges is proud to present the winner of our 2016 Finish It! Scholarship for Non-Traditional and Returning Students, Jennifer D! 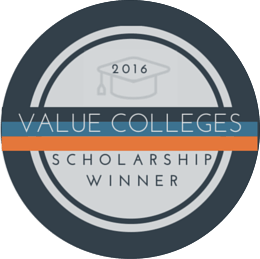 The Value Colleges mission is to guide students to the most financially sound, smartest long-term investments in higher education, and Jennifer exemplifies the Value Colleges spirit, a fact that came through clearly in her winning scholarship essay. 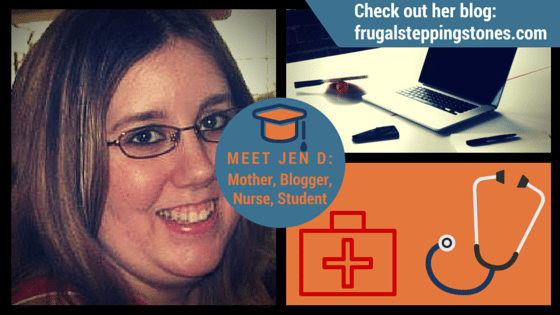 As a Master of Science in Nursing Education student at a large private liberal arts university in Indiana, Jennifer has set a goal to complete her master’s degree without taking out any loans, a quest she regularly shares on her personal finance blog, Frugal Stepping Stones. Jennifer D. embodies the 21st century entrepreneur as a student, parent, nurse, and writer. Jennifer has contributed to an updated revision of Our Bodies, Ourselves, and to the textbook The Nurse’s Introduction to Managed Care. As a nurse educator, Jennifer is looking boldly into the future, with plans to combine traditional nursing education with all of the resources online instruction can bring, including her own interactive websites, blogs, and books. With the Internet, a nurse’s education can continue throughout their career, and Jennifer is a proponent of learning and teachng others while staying financially savvy. Congratulations to Jennifer, who bowled us over with her application essay and her story! Keep up the good work, and keep paying it forward!